Heavy-duty needle roller bearings consist of a machined and ground channel-shaped outer ring with a complement of needle rollers retained and guided by a cage. The high-strength cage retains and guides the rollers. 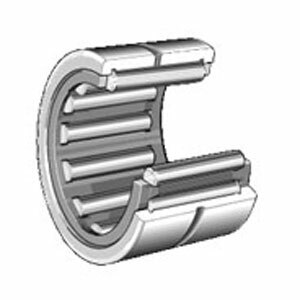 These bearings can be used with or without a machined and ground inner ring, depending on the suitability of the shaft as a raceway surface.